The 2015 Colorado Beers Made By Walking year is officially underway! 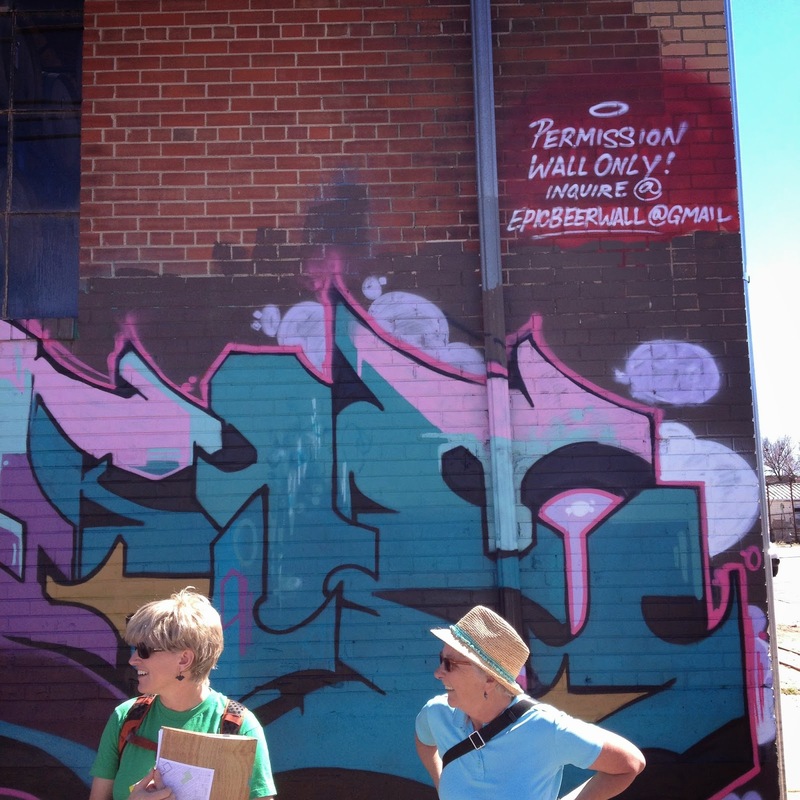 Last weekend, we opened up our season with a public walking tour of Denver’s River North neighborhood. 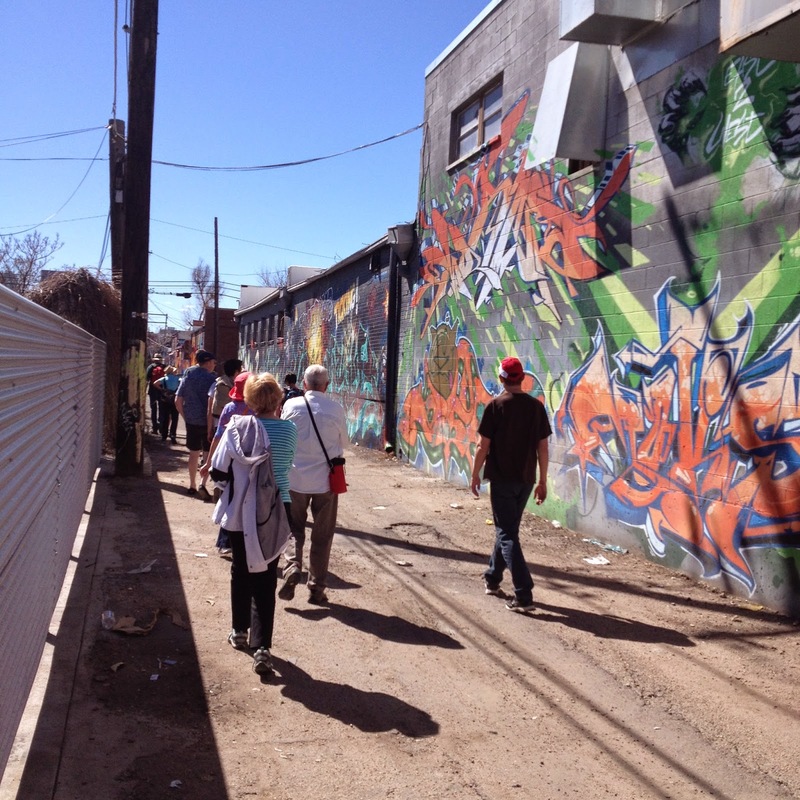 The hike, guided by Rachel Hultin of Walk2Connect, wound through the side streets and alleyways that canvas the street art scene of RiNo's reputable Art District. We were joined by our good friends over at Our Mutual Friend Tenth Acre & Brewery (OMF) and a whole group of beer-loving walkers from around the city. This walk was purposefully different from the trail-based walks in the mountains that we usually plan for our BMBW brewing partners. Our Mutual Friend often works with arts communitites in the design of the beer, glassware, and beer labels so a graffiti walk felt appropriate. OMF co-owner, Brandon Proff, opened the walk introducing brewery’s plan for their on-premise hop garden. We set off and Rachel first led us around the block to the Epic Beer Wall at Epic Brewing Company, located just three blocks from OMF. The back wall of Epic’s Denver facilities features the artwork of anonymous graffiti artists, all of who have been granted permission to create. The wall serves as a canvas for a form of media that is otherwise illegal. From the Epic Beer Wall we pulled away from the main roads and dove back into the alleyway galleries of RiNo. The four-block stretch of backdoor alley is also a permission-only art wall, and therefore a haven for street artists hoping to avoid ugly edits by illegal tagging. Each mural added wonderfully unique pomp and personality to the art walk and dazzled our group. Before we turned back to OMF, Rachel redirected us to one of Denver’s increasingly popular urban gardens. The community garden project, known as Triangle Park, which is run by Denver Urban Gardens (D.U.G), an organization that encourages dedicated growth and sense of community by supporting public gardens around the Metro Denver area. After doubling back to Our Mutual Friend, and closing words from Brandon and Rachel, our walking group settled down on the outdoor patio to enjoy a locally sourced OMF beer and a sunny spring day in Denver. 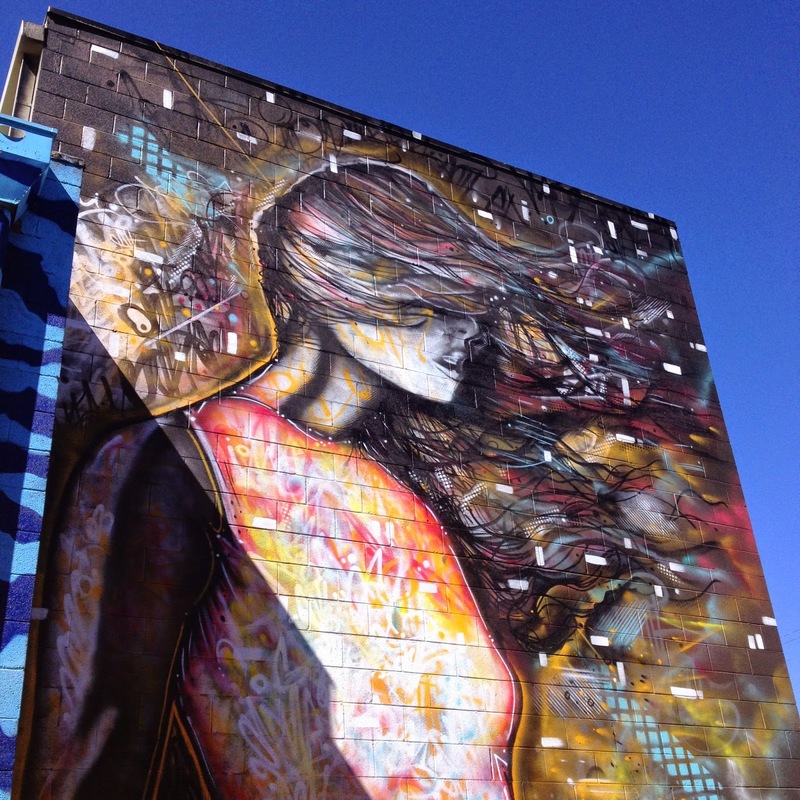 We're really interested to see how OMF uses this graffiti walk as inspiration for a future beer. Stay tuned to find out more about the beer's release during our festival in September. Walk2Connect leads walking programs that get individuals and organizations in touch with various neighborhoods all around the Front Range. Rachel Hultin is the Community Program Director and led an awesome and informative walk! Our Mutual Friend is a 3-barrel brew house in Denver’s RiNo neighborhood that focuses on building beers from Colorado ingredients only. Brandon Proff is Managing Partner and pours a mean Farmhouse Ale. Thanks to both Rachel and Brandon for joining us on our walk!